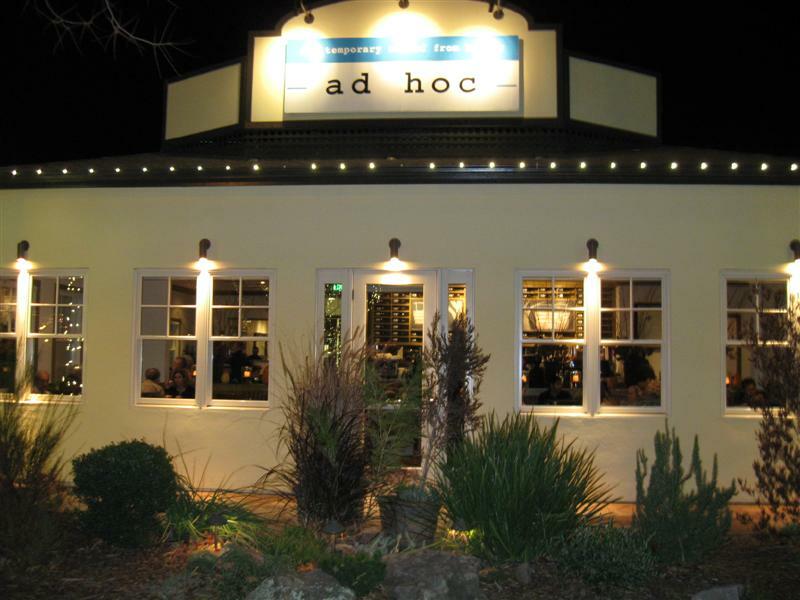 Ad Hoc is located down the street from The French Laundry and Bouchon in the Napa Valley town of Yountville. 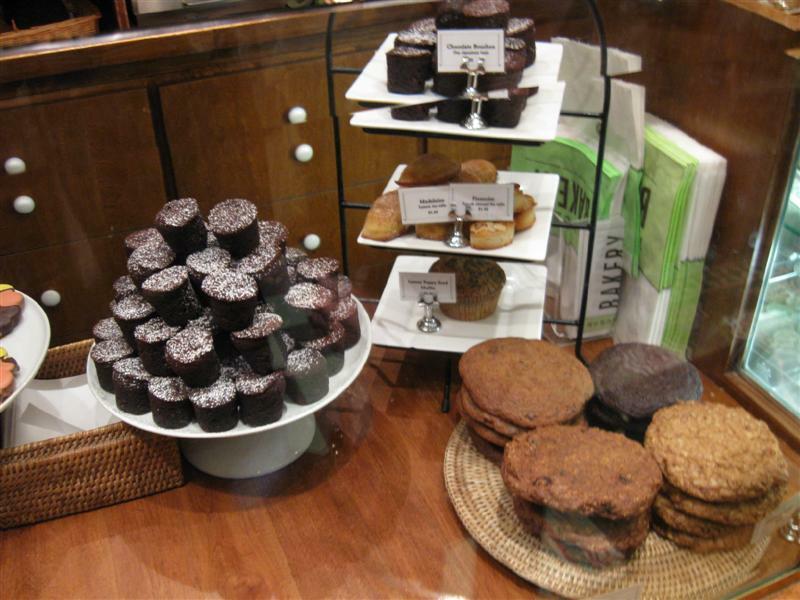 Whenever in the area, I stop by Bouchon Bakery to pick up some treats. One of my favorite bakeries, it was opened in 2003 to start serving fresh breads, tarts, cookies, and all sorts of goodies. 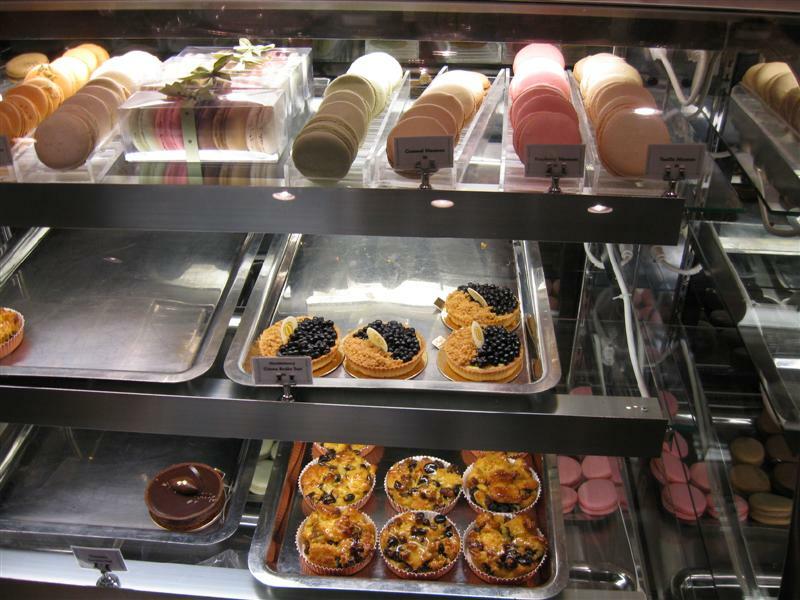 A look inside the bakery. As it was around 5:30pm, a lot of the selection was depleted. 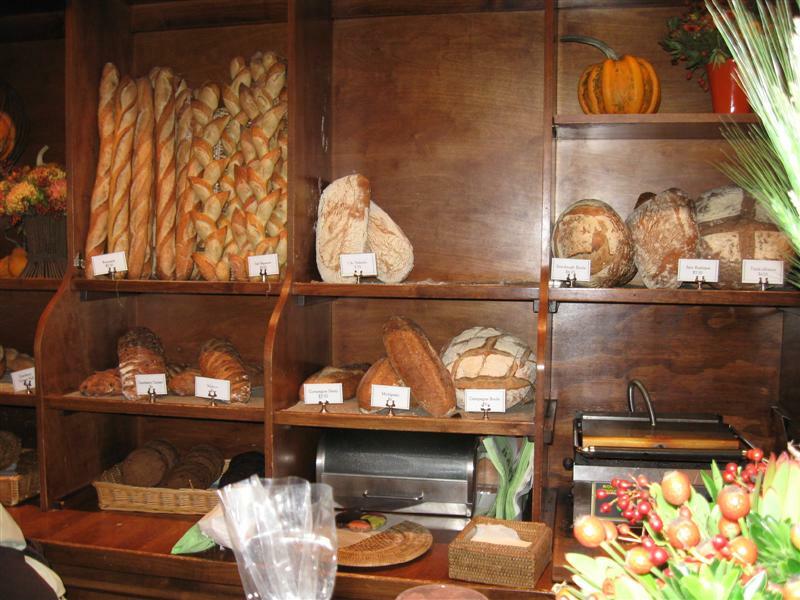 However, there was still a variety of breads, cookies, tarts, and macarons available. 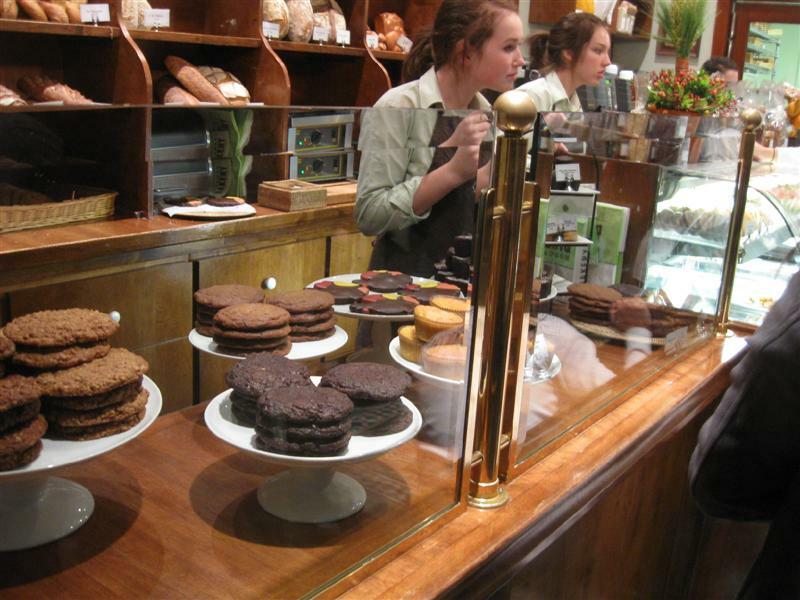 Their signature namesake item is a cork-shaped chocolate brownie called a ‘Bouchon.’ Notice the stack of them on the left in the picture below, and on top. Calling them a brownie does not really do it justice, but it’s a closer, more delicious relative. 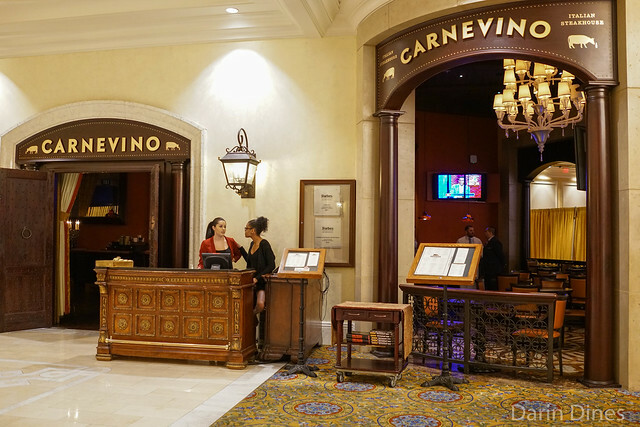 These are a must-try here, and is also part of the signature dessert at Bouchon Bistro. 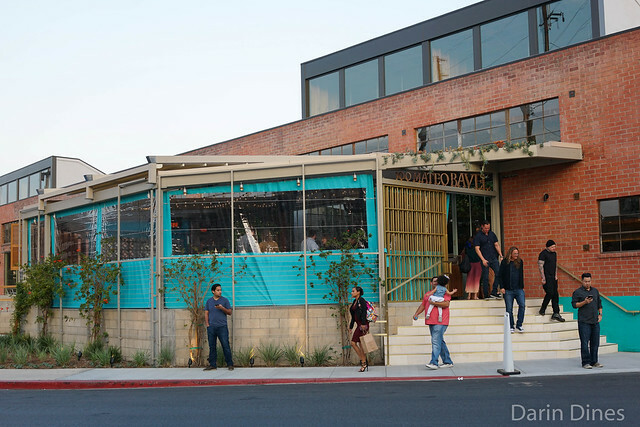 With my baked goods in hand, it was time to head down the street to Ad Hoc. I’m not too sure what’s taken me so long to visit Ad Hoc. 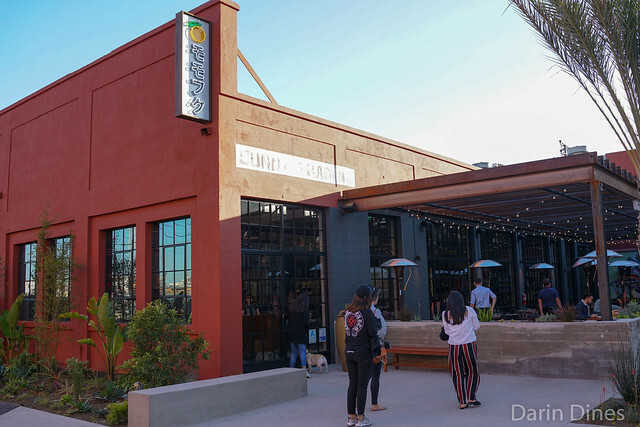 Opened in 2006, it was meant to be a temporary restaurant in the space, pending a new concept by Thomas Keller (a burger joint was widely rumored). 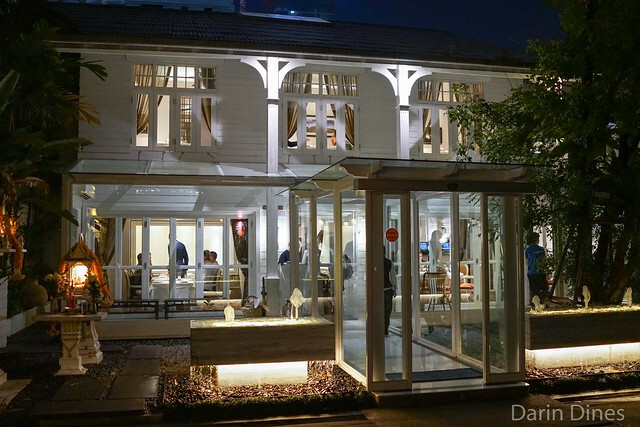 The restaurant’s concept is fresh, comfortable food, served family-style. 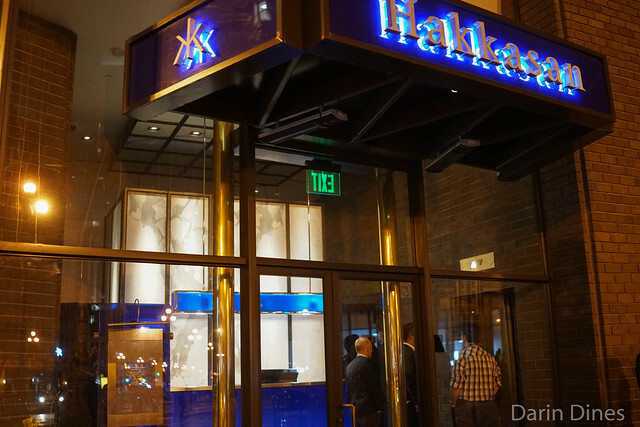 It is easily the most reasonable, accessible way to sample Chef Keller’s food. 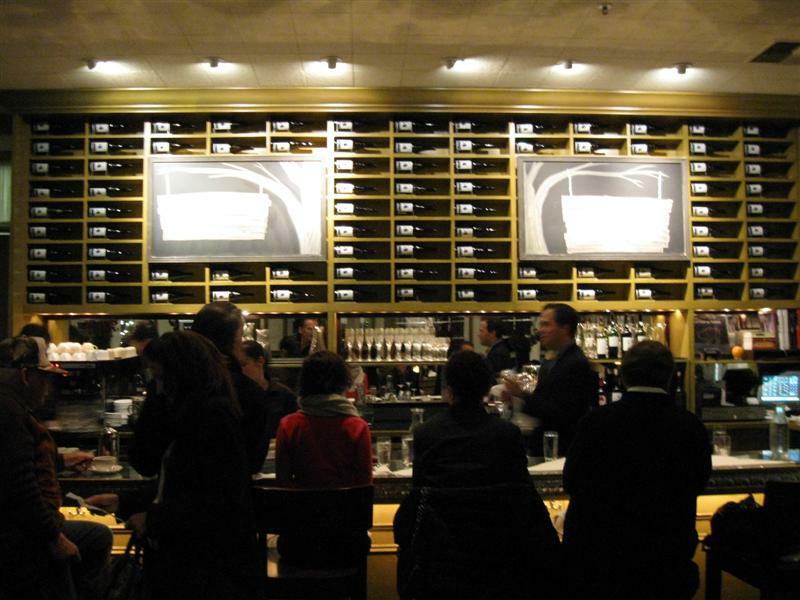 Because the restaurant became so popular, it became a permanent fixture in 2007. 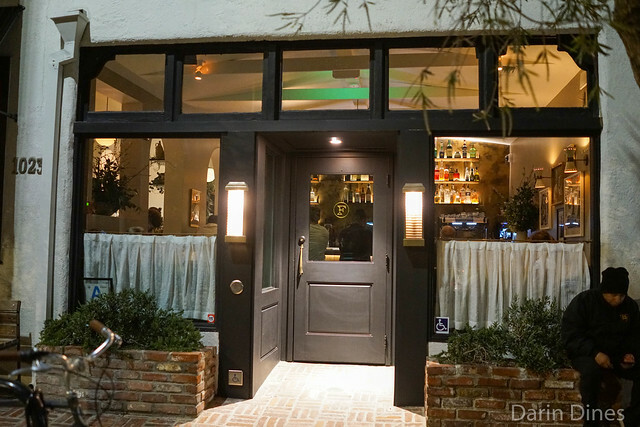 The decor is comfortable and well-lit, with a bar area in front. 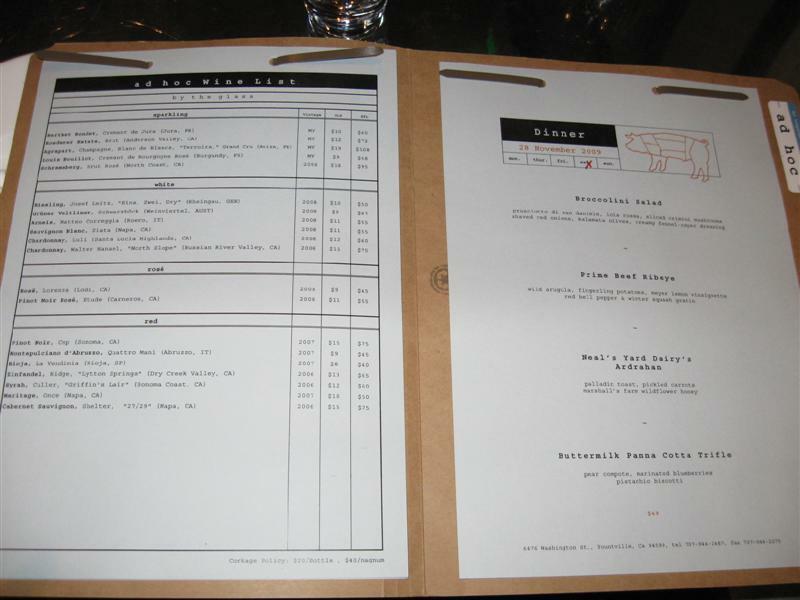 The only really predictable part of the menu is the famous fried chicken. It’s served every other Monday night. On this Saturday evening, the menu was as follows. Given that I’m a pretty big meat eater (especially beef), I was excited to see the ribeye on the menu and was wondering all day how it would be prepared. The courses came out quickly, starting with the salad. The broccolini was fresh and flavorful – I’ve lately become a pretty big fan of this vegetable. 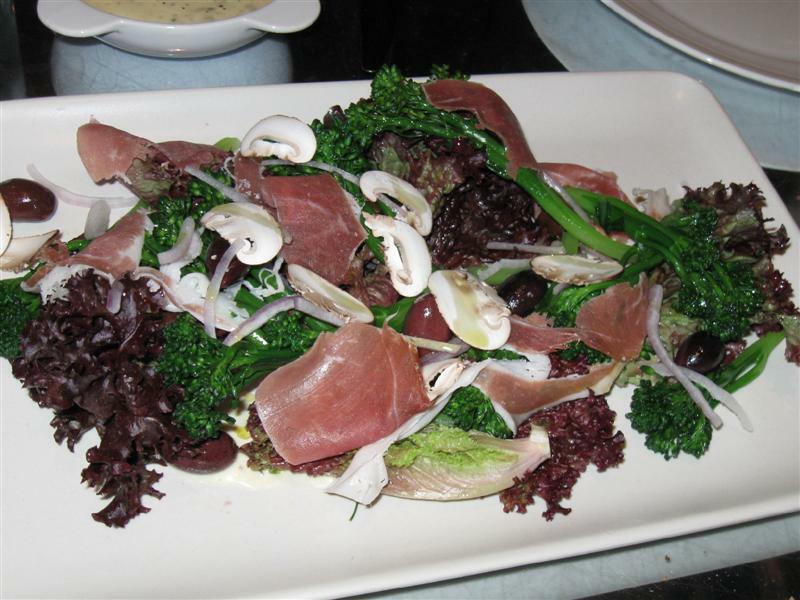 The prosciutto added a nice saltiness to go with the broccolini and lettuce. I rarely eat salads..I really don’t like them..but this was easy to eat, with clean, fresh flavors. We decided to try a Modicum Meritage Red Blend to pair with the meat. 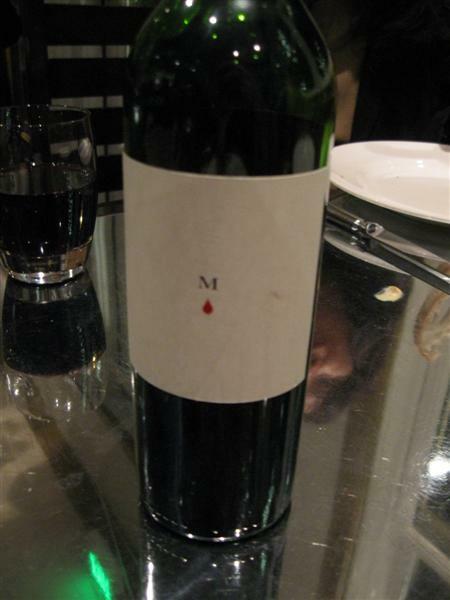 Modicum wine is the house wine of The French Laundry, produced in limited quantities as a joint venture with an unnamed winery and the French Laundry. Next came the main entree – the ribeye. I found it kind of amusing that they don’t ask how you’d like the meat prepared. 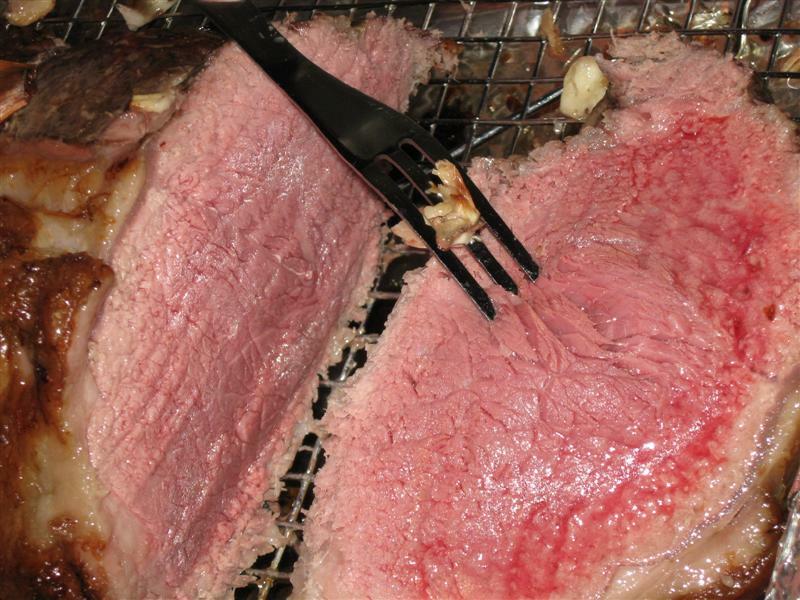 It’s prepared medium rare – the way it should be. The loin of the ribeye (on the right) was grilled and then cooked sous-vide. The cap (3 chunks on the left) was grilled. This is probably the first time I’ve had the loin and cap split apart with different preparations. The cap is definitely fattier and more tender, and the loin is more lean with a beefier flavor in my opinion. 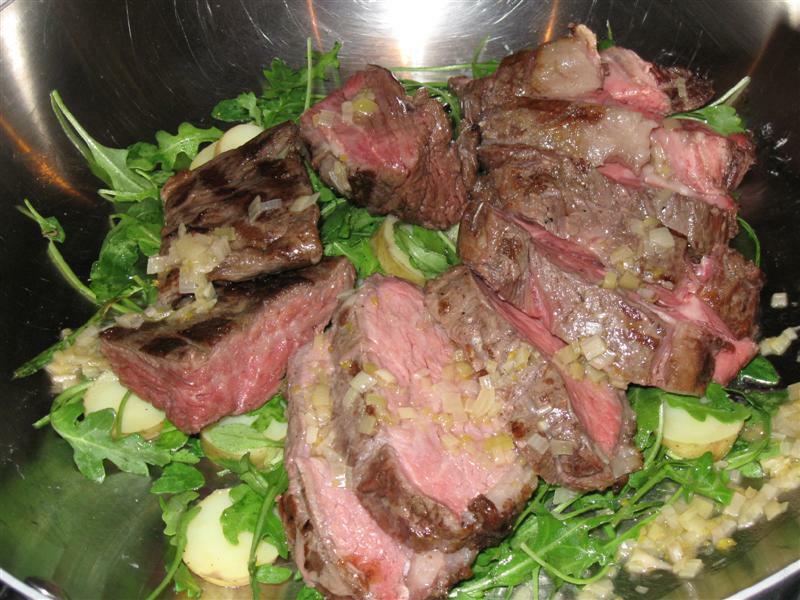 The meat was served with arugula and fingerling potatoes topped with a meyer lemon vinaigrette. Definitely tasty. Now, was it better than what I could get at a good steakhouse? It was definitely different. A steakhouse is definitely not going to sous-vide my beef – typically it’s a sear and broil or just grill. In the end, I’m not sure the work put into this preparation was better than a steakhouse ribeye, but it was still a tasty piece of meat – and T. Keller is not going to put a simple steak on the table. On the side was the red bell pepper and winter squash gratin. 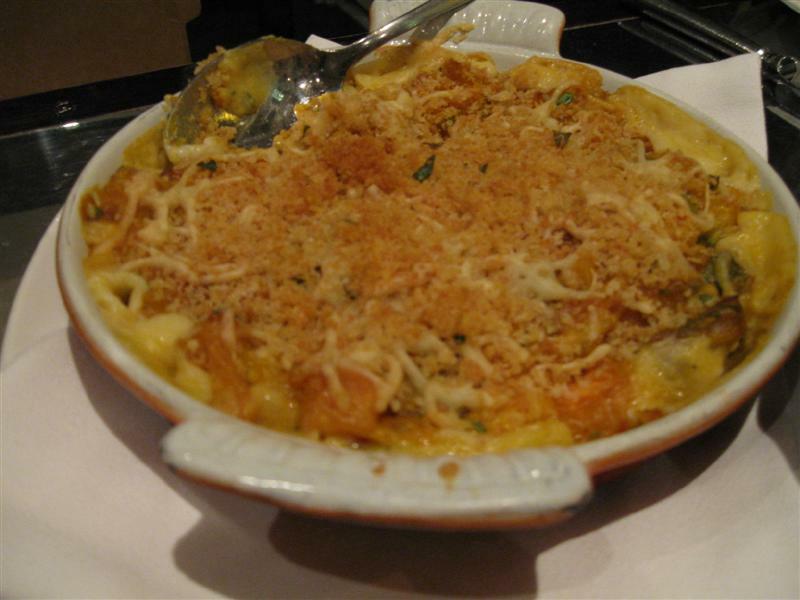 This was also a good dish, showcasing the in-season squash and peppers with a nice breadcrumb crust on top. Next was the cheese course. I’m really never a fan of the cheese course and always try to substitute it out for a different course, but in certain occasions (like this one), it’s unavoidable. 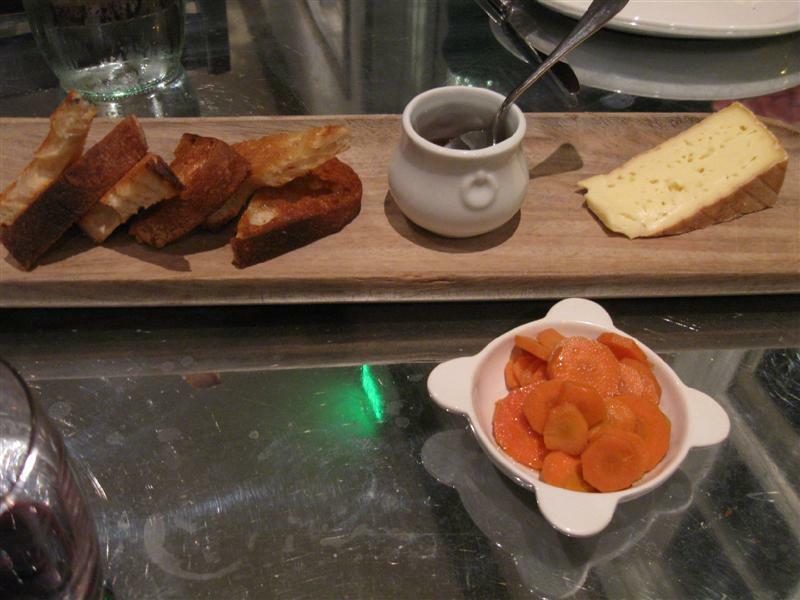 This was a cow milk cheese served with toast, pickled carrots and honey. It was mildly pungent, and not really spreadable on the toast. The honey was delicious, and I thought it went well with the cheese. However, it did not convert me to being a fan of the cheese course. 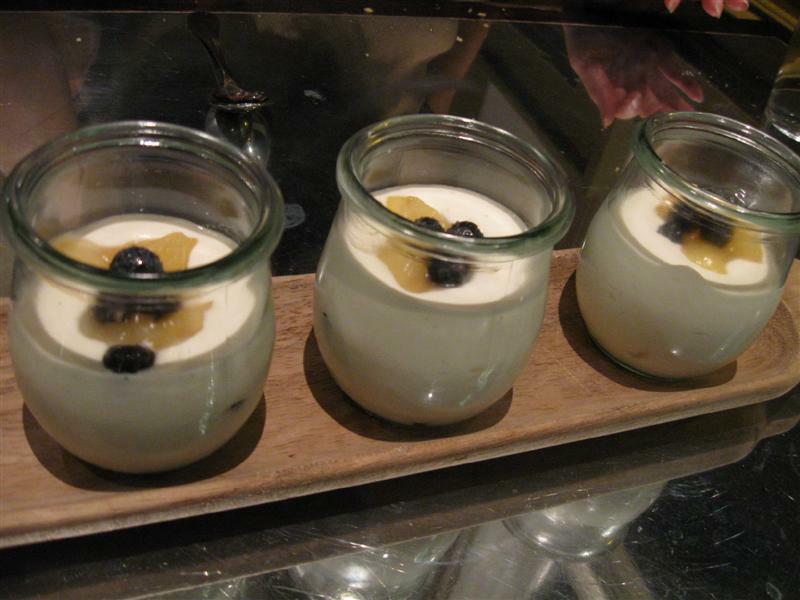 Next up was the buttermilk panna cotta trifle. 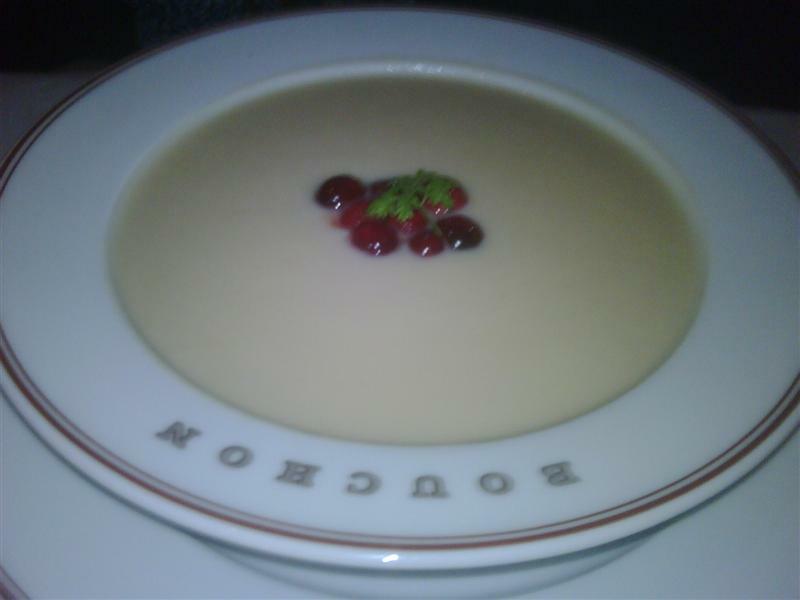 I’ve had a number of Thomas Keller’s panna cottas before at other restaurants and have been a fan. However, this one was on a yogurt-like consistency with a hint of sourness. Not being a fan of yogurt, I didn’t really care much for this dessert. The pears and blueberries inside did have good flavor, however. 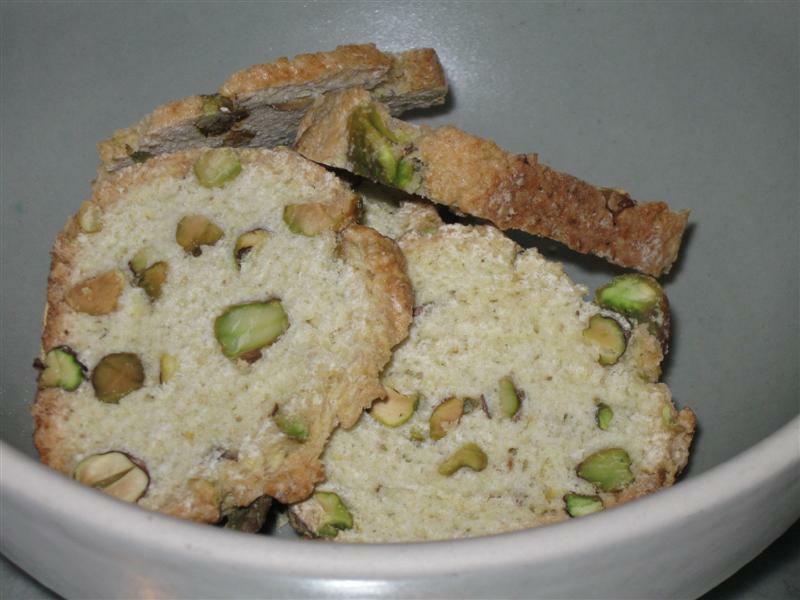 The panna cotta trifle came with pistachio biscotti, which I found to be very good, especially when dipped. In all, this was a pleasant meal. As a fairly picky eater, the menu did not totally go my way. However, I was quite pleased with the first two courses, especially being able to try the ribeye. Did it live up to expectations? Sorta. Maybe not really. Nothing was really remarkably delicious, but I appreciated the freshness of the ingredients, and the food was executed very well. The restaurant is deserving of another trip, and I know just the occasion – fried chicken night. Lunch is served buffet-style, and is largely a potluck from a number of families, led by my aunt. 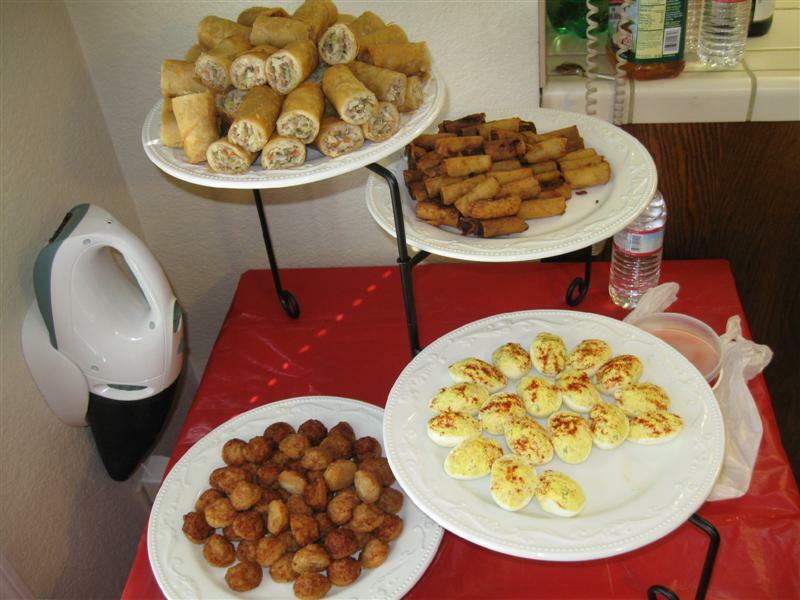 Some of the finger foods include deviled eggs, shrimp on toast, egg rolls, and taquitos. On the other side of the room are the entrees and sides. 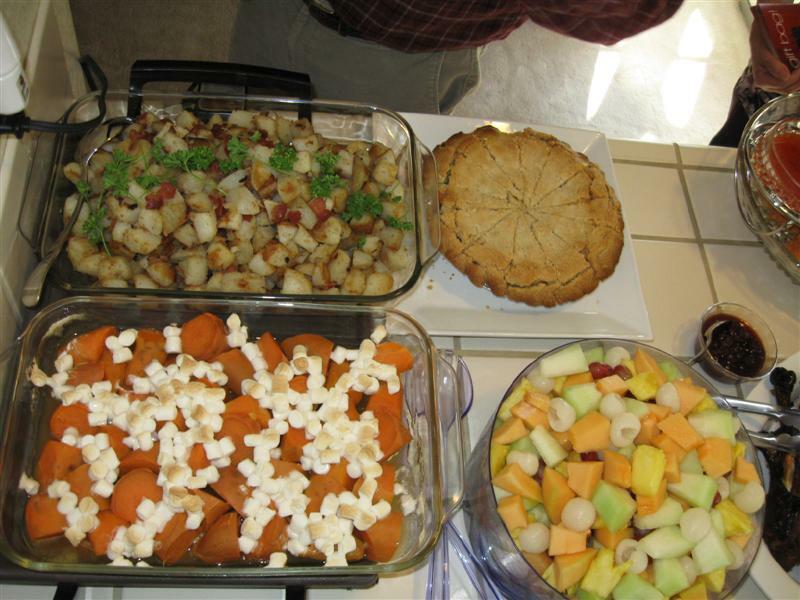 Shown above are country fried potatoes, sweet potatoes with marshmallows, a chicken pot pie and fruit salad. 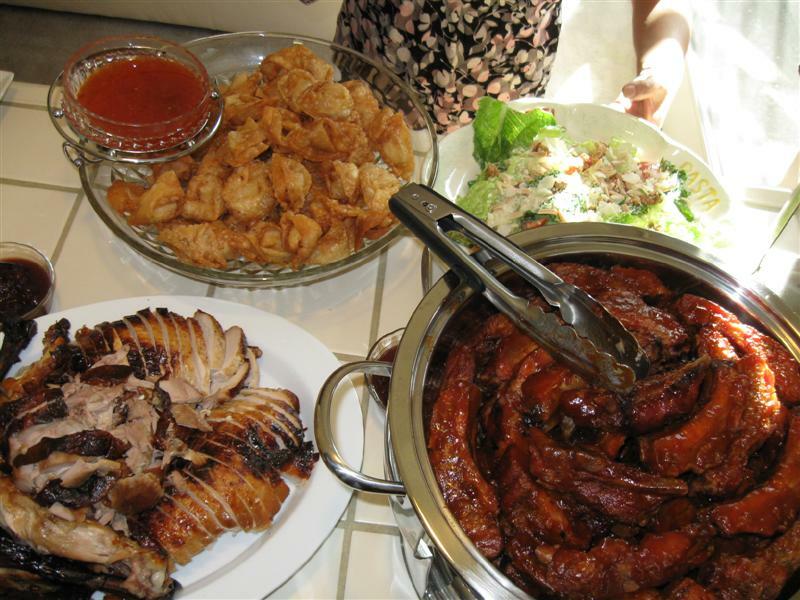 Here we have fried wontons, Caesar salad, carved turkey and pork ribs. 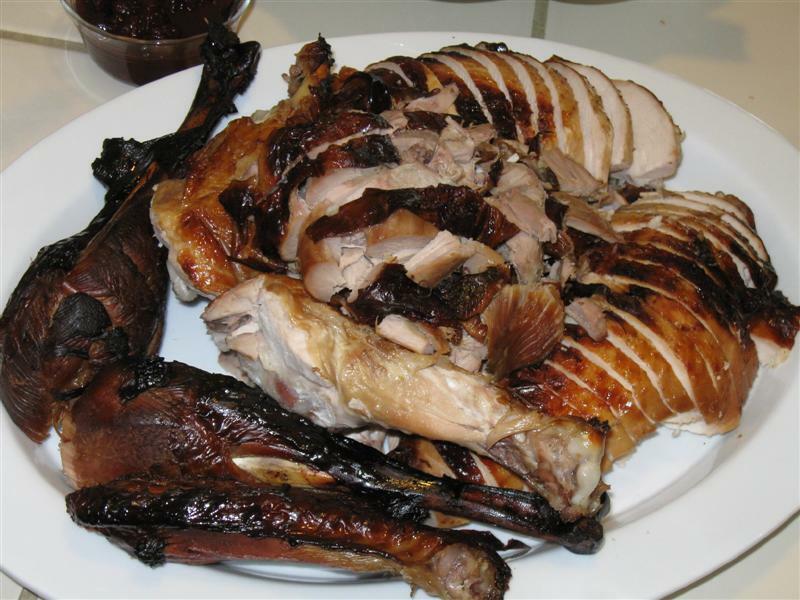 The turkey was beautifully carved and presented (see below for a close-up). 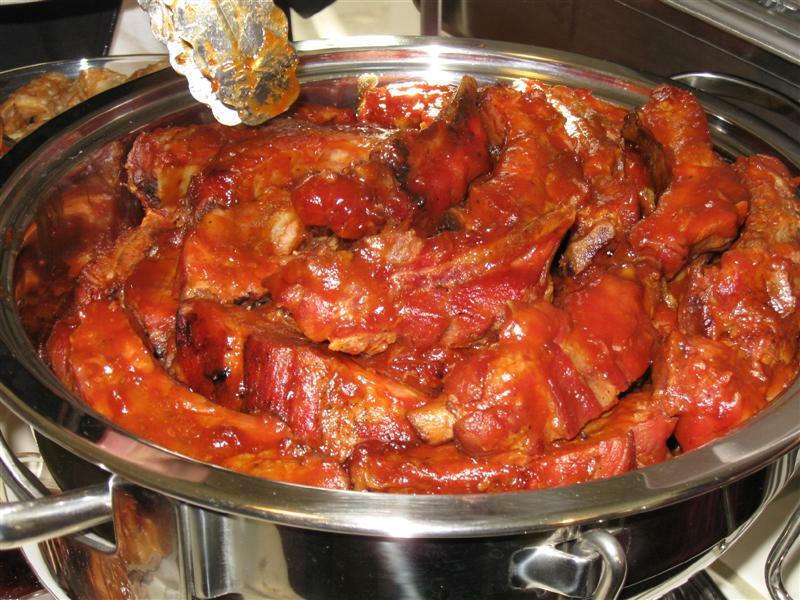 The pork ribs are cooked low and slow over charcoal for a couple of hours to ensure they are moist and tender to the point that they are just about falling off the bone. 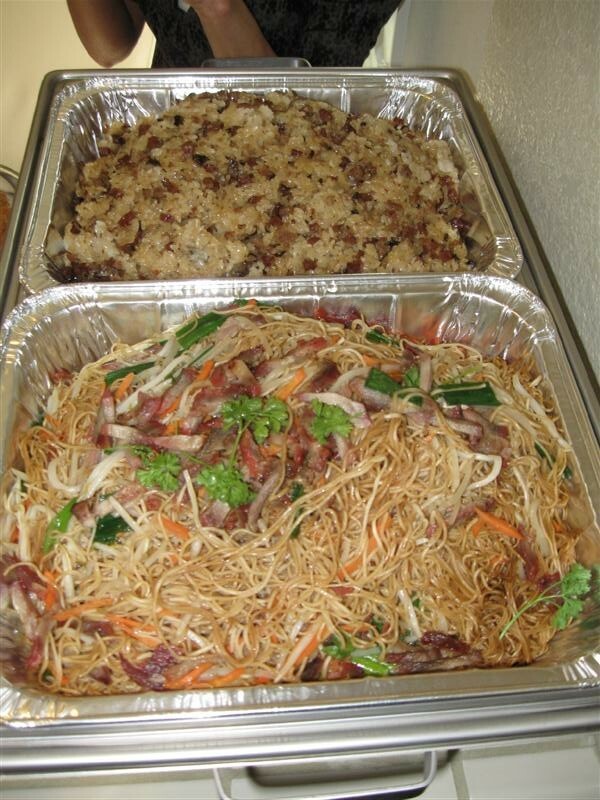 Two of the main recurring sides each year are chinese sticky rice and chow mein. These both are made in huge quantities and pre-packed to aid in the leftovers process. A close-up of the carved turkey is below. 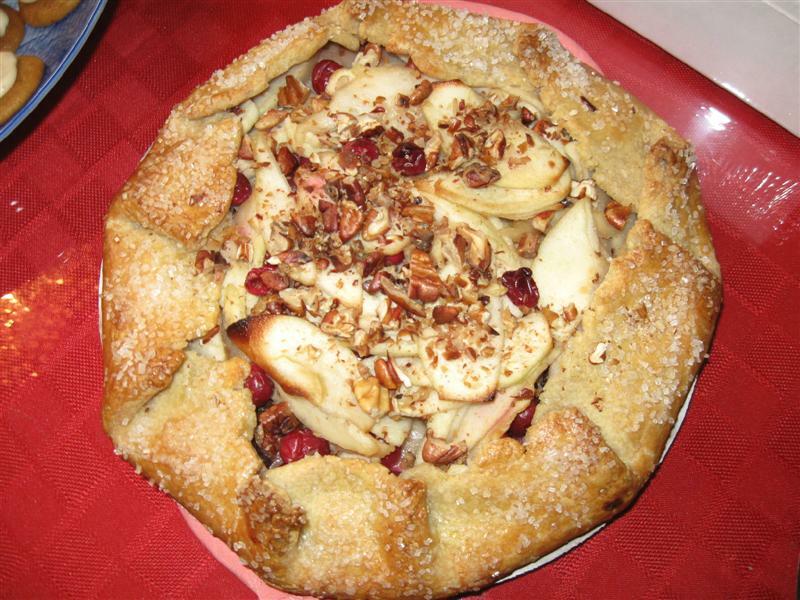 There were an array of homemade desserts, including an apple-cranberry-nut tart below (there was another fancier tart-like word, but I don’t remember what that was). I was expecting a lot from these pies given Faulkner’s resume. The pecan was first. The filling broke apart so easily that the first slices did not resemble a pie, rather clumps of filling over some crust. I found the crust to be a little underbaked, and the filling was kind of unremarkable. 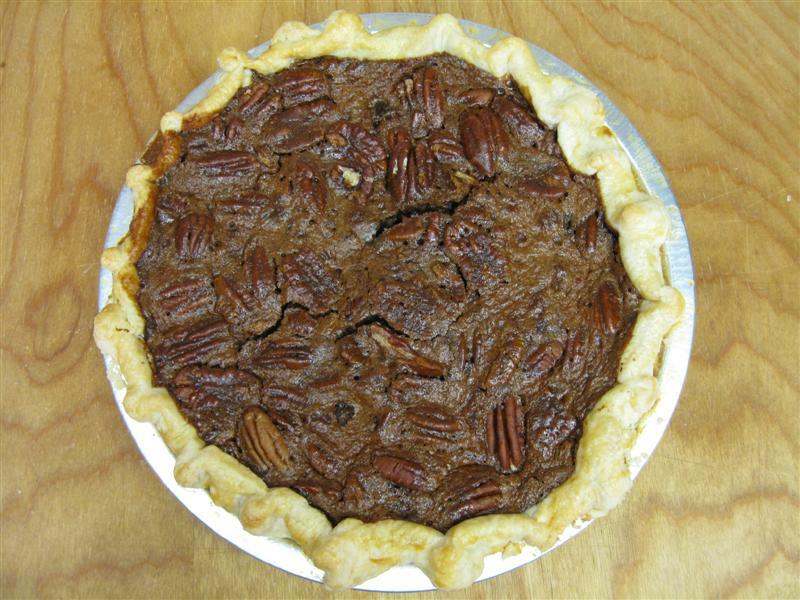 Now, I’m not a huge pecan pie person anyways, but the flavors of pecan, chocolate and whiskey didn’t do it for me. Next was the pumpkin pie, which was a lot better. 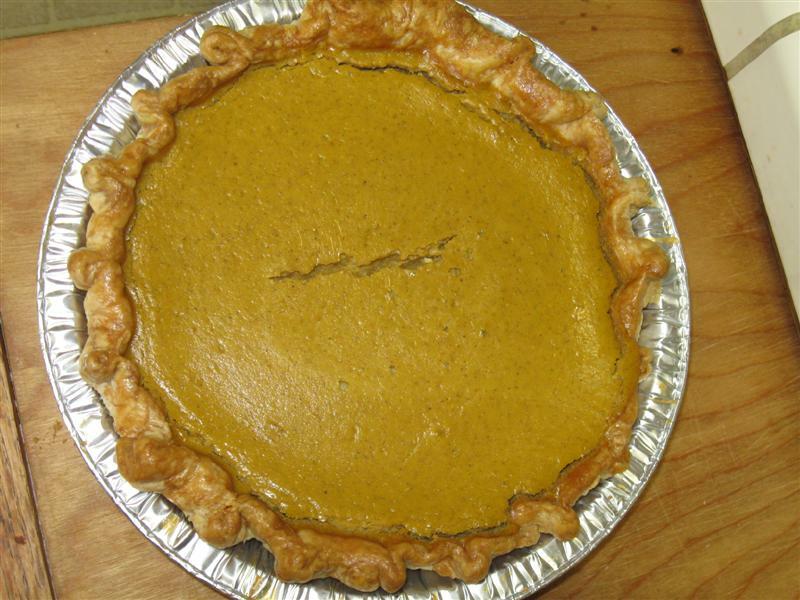 The filling was smooth and pumpkin-cinnamon tasting, and the crust was nice and flaky here. Definitely closer to what I was expecting the pies to be. Dinner is a more traditional family-around-the-dinner table affair. Most everything is prepared by my grandmother. 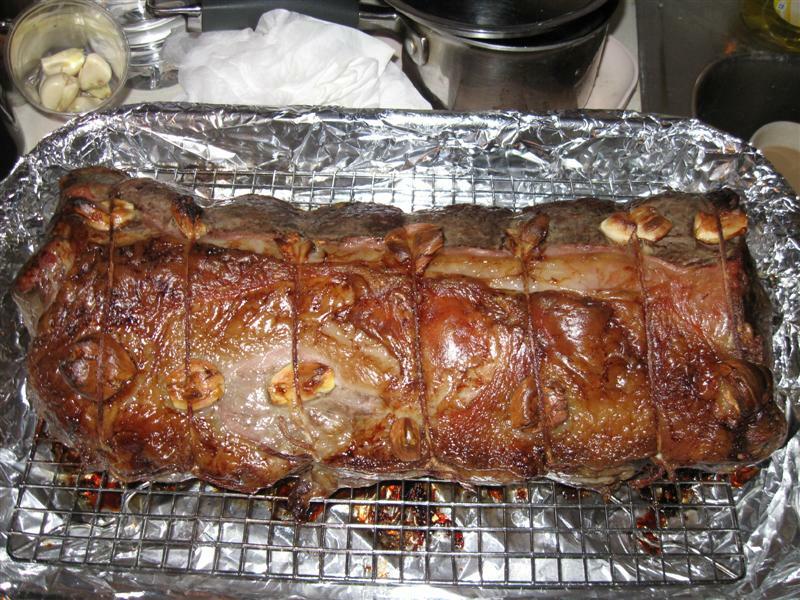 The centerpiece, as has been for as long as I can remember, is a roast of beef – in this case, a New York strip loan roast. 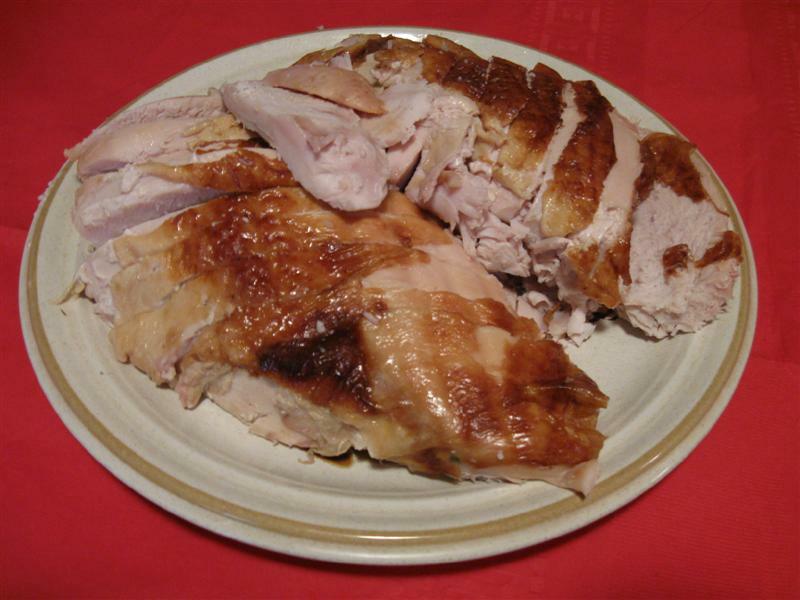 The other meat option this year was, of course, turkey, white meat shown carved. 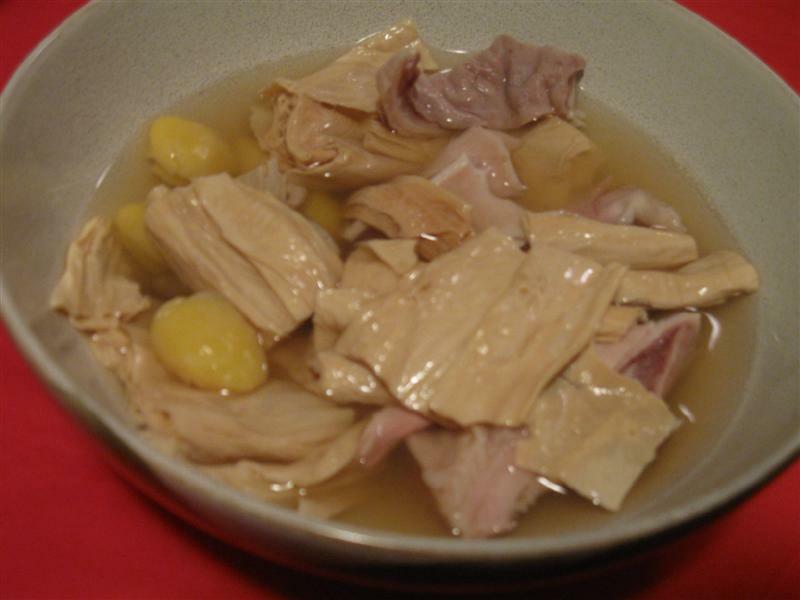 My grandmother also made a soup to start with with a chicken broth base, including pork, dates and dried tofu. mashed potatoes, gravy, and a mixed vegetable dish. 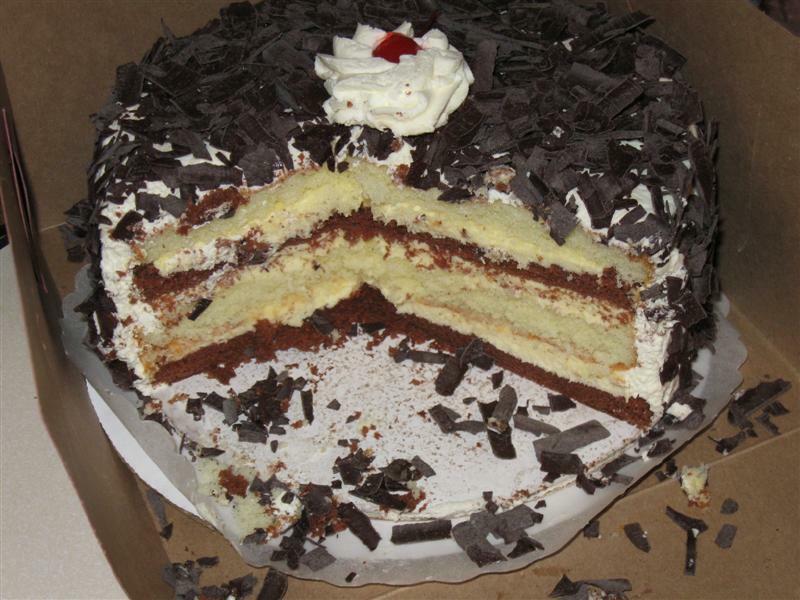 To finish off the meal, as if we needed anything else, was a cake from Sweet Stop – layers of vanilla and chocolate cake with custard in between. 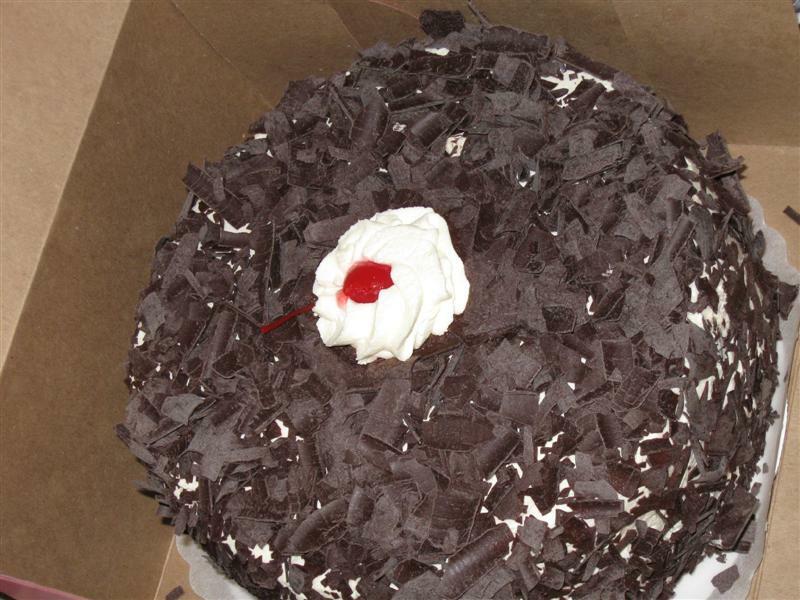 Sweet Stop’s cakes are consistently moist and tasty, and this one was not an exception. We come to them for cakes for pretty much every special occasion. 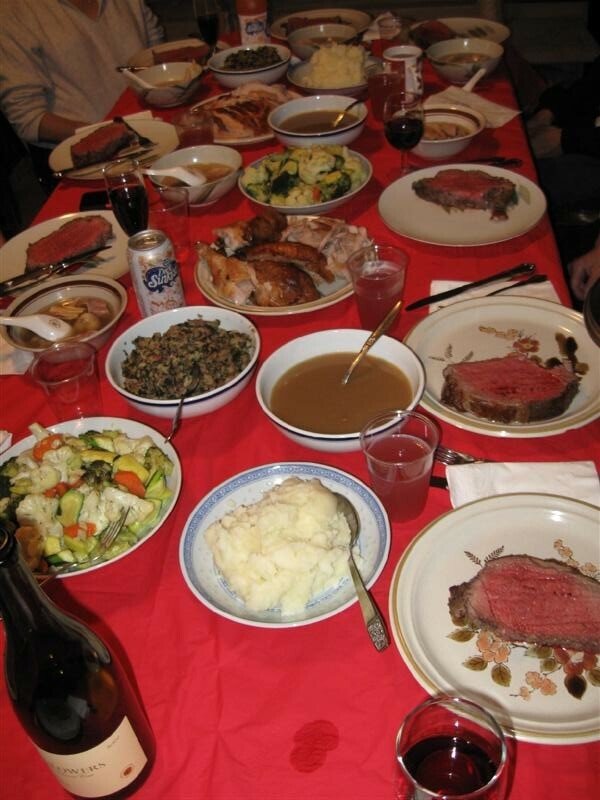 Two days later, I still feel full recounting all this food. Though, I’m already anticipating what will be cooked up for Christmas this year! For anyone that knows me fairly well, they know that I’m sort of..umm, well, obsessed with Thomas Keller. 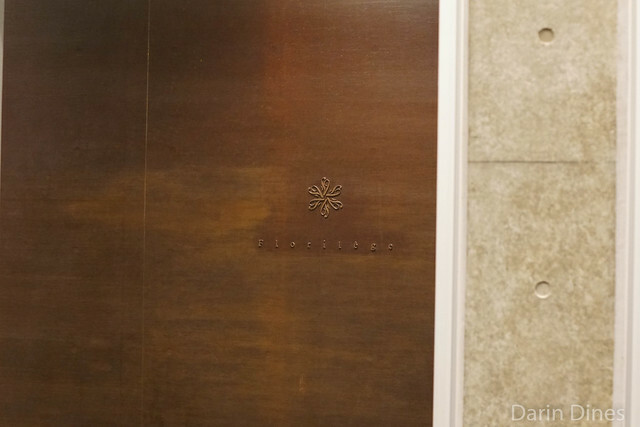 My first meal at French Laundry is still probably the most anxious I’ve ever been for a meal. 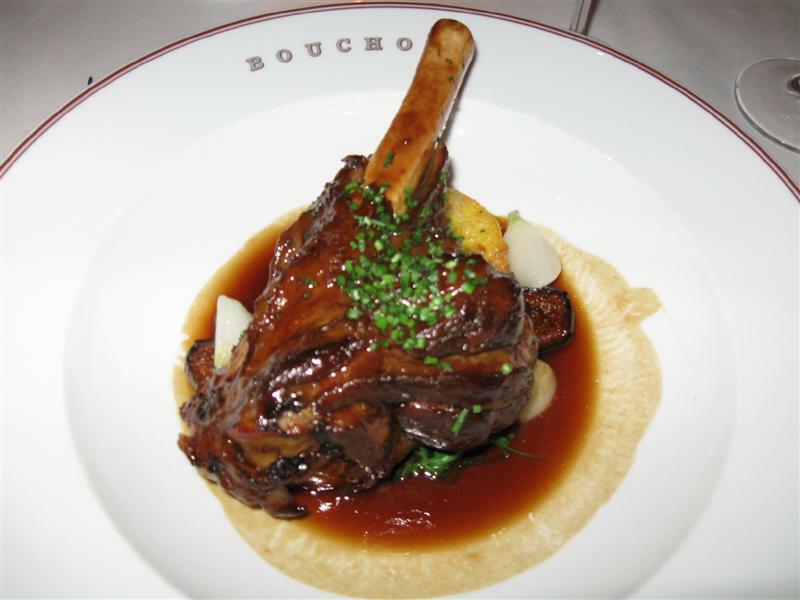 In addition, Bouchon is one of my favorite casual restaurant picks in Las Vegas for simple, comforting food that hits the spot every time. 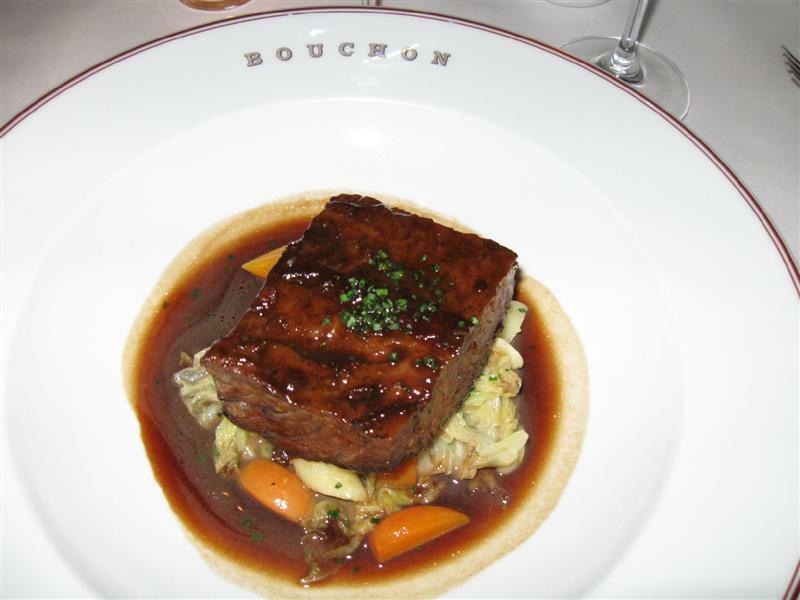 And so when I found out Chef Keller was opening up a branch of Bouchon in LA over a year ago, I’ve been waiting for it ever since. 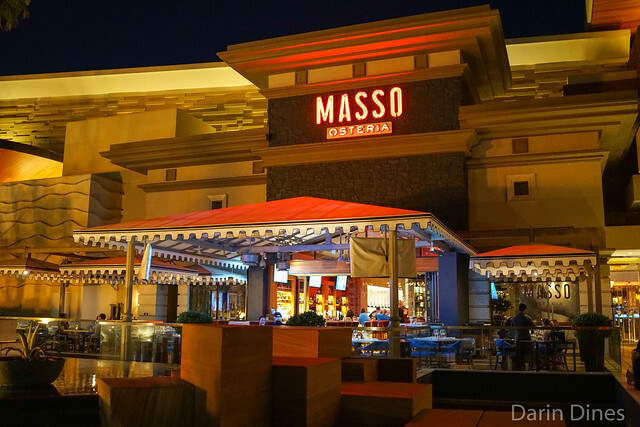 I had been monitoring the food blogs and news for any bits of information that came out – expected opening date, the design of the restaurant, when they got their liquor license, when the reservation lines would open, etc. So when the reservation lines were set to open at 11am on Nov. 2, naturally, I was on the phone calling at 10:55am and was lucky enough to score two reservations on opening weekend! 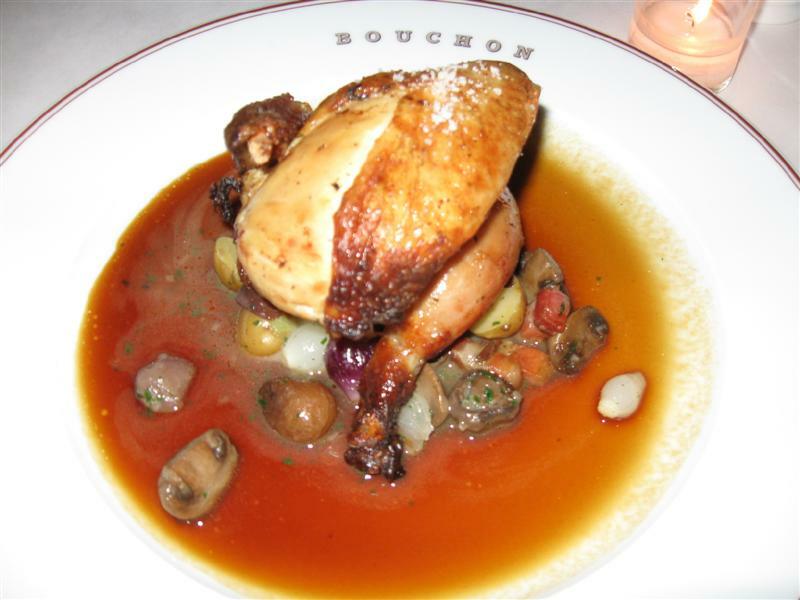 I thought that the food seemed to be pretty consistent with the other Bouchons (in Yountville and Las Vegas) where I’ve eaten. 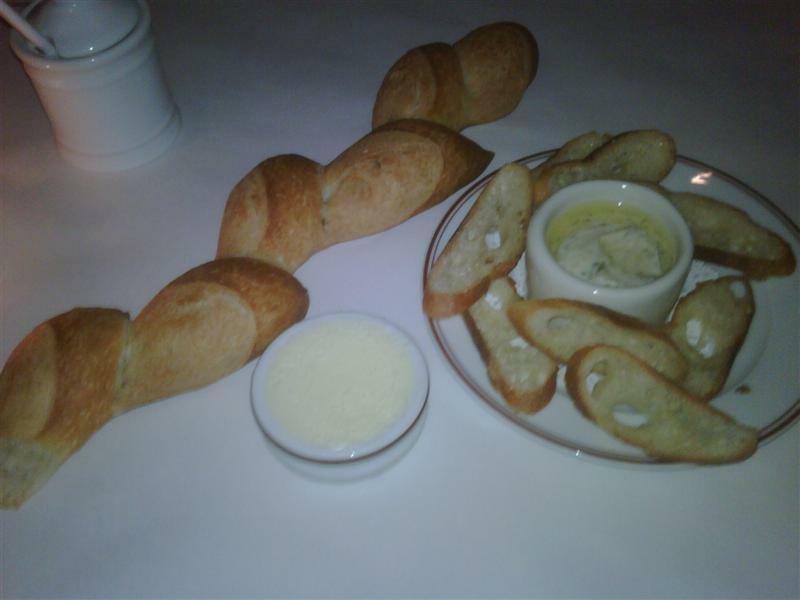 To start out with on both nights were the bread (baked in-house, slightly still warm) and white bean puree with crostini. I love the bread (Bouchon Bakery is one of my favorite bakeries) and the white bean puree was a nice touch, and good start to the meal. The soup was tasty. Now, I don’t think ‘celery root puree’ is on the top of anyone’s lists of soups to try, and maybe that’s what made this a pleasant surprise. It had an earthy flavor with a little bit of cinnamon – my friend remarked that “it tasted like Thanksgiving.” How fitting! 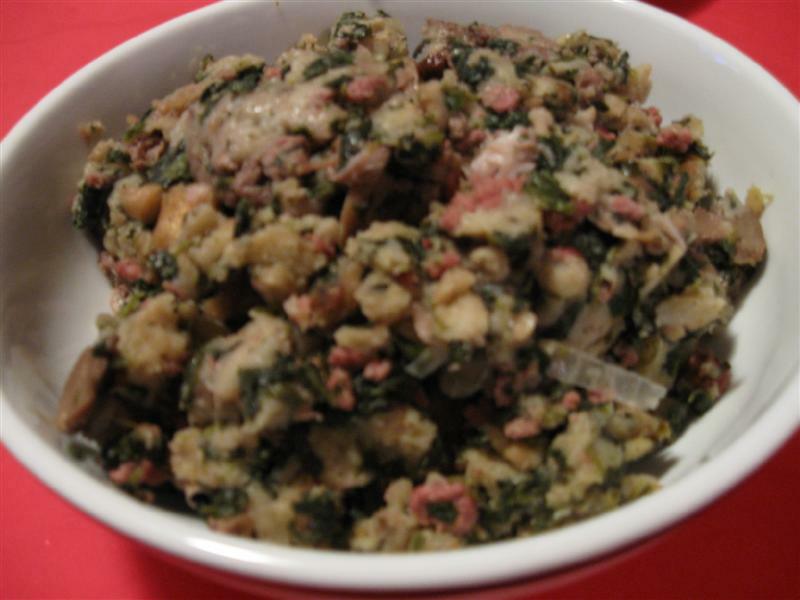 Florentine quiche – There is a daily quiche each day, and it was a simple Florentine quiche on Sunday, which has spinach, eggs and cheese as the primary ingredients. The custard filling was very smooth and creamy, and the spinach was not overbearing. Overall, a very nice quiche. 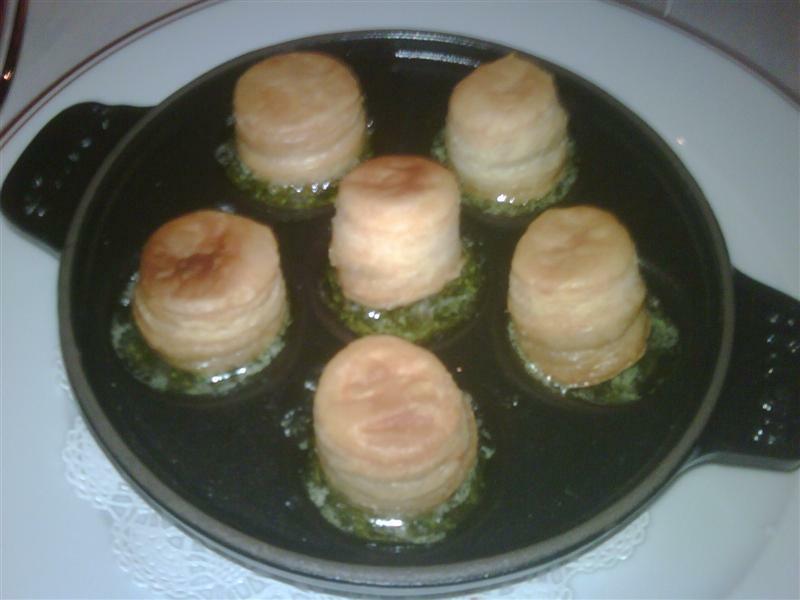 Another of the daily appetizer specials was escargot covered in puff pastry. I can’t say I’ve had a ton of experience with escargot, so I thought this was a great opportunity to broaden my escargot horizon. The puff pastry was interesting, but I don’t think it was necessary. The size of the pastry was larger than the escargot itself, and made fitting the whole piece in your mouth a little troublesome. The escargot was cooked in a pesto-like sauce with a lot of olive oil. Pretty tasty. 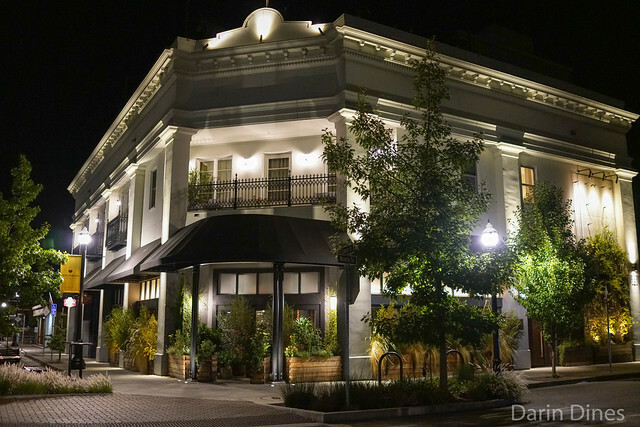 Mussels and Oysters – Bouchon has an extensive seafood bar consisting of lobster, crab, shrimp, mussels, clams and oysters. There’s nothing exactly special with the seafood here – it’s quality seafood presented in a very simple manner. We decided to try some of the mussels and oysters. They were both good; however, there wasn’t anything that stood out about these over any reputable seafood restaurant’s offerings. The presentation here is beautiful. The lamb shank was quite good, although it may have been a little dry compared to what I remember it being in Las Vegas. There was a lot of meat (which I like) and a knife was not really even necessary. Also, the lamb was not gamey at all. As can be seen, the short rib was a large square, a little different preparation that I’m accustomed to. However, it was rich and delicious. The accompanying Savoy cabbage was nice as well, soaking up the juices of the meat. 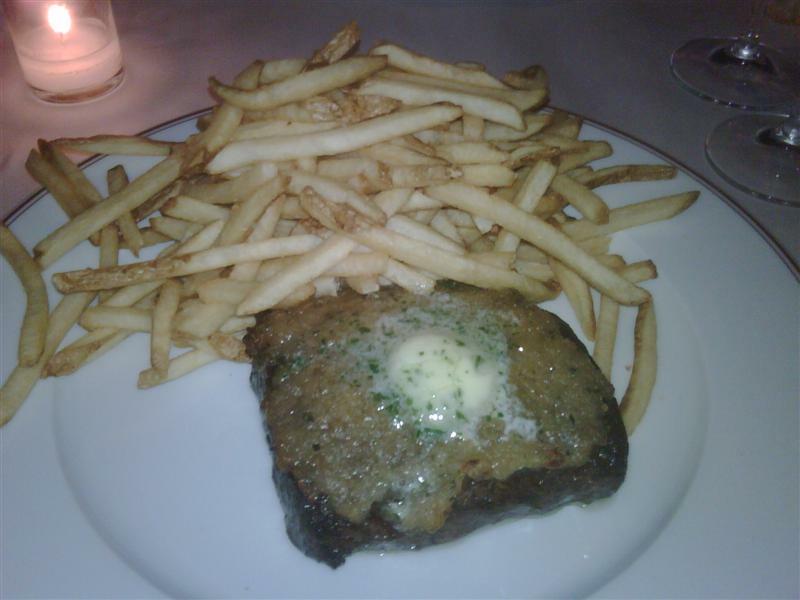 I think Bouchon has some of the best steak frites in the land. This is partially because I think these are some of the best french fries. They’re cut and shaped similar to McDonalds’ with a good ratio of crispy outside to fluffy inside, and seasoned with just salt. Just like that. Good stuff. The steak is a flatiron with a caramelized onion topping and a compound herb butter. Sauteed gnocchi – This is the only vegetarian entree on the menu (though, there are various vegetarian options elsewhere on the menu), and there’s nothing really special about this. 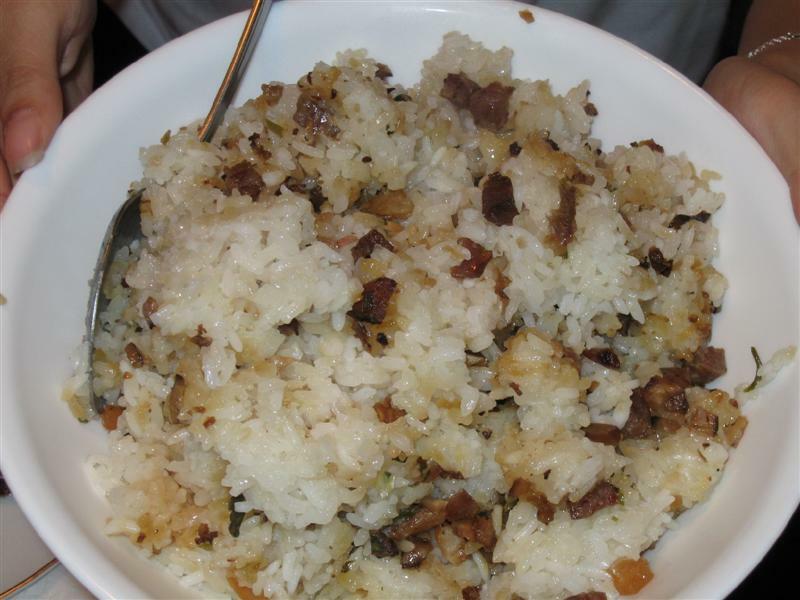 It’s served with various vegetables and a butter sauce. Simply made, but I can see someone getting tired of it after a few bites. The roast chicken here is really good. I don’t really order chicken very often, but it was probably the most surprising dish. It was moist, juicy and flavorful, and the jus adds an extra flavor boost. I’m not totally sure how this is prepared, but it’s a great example of a successful roasted chicken. Finally, dessert. Always save room for dessert when coming to Bouchon – it’s not to be missed! 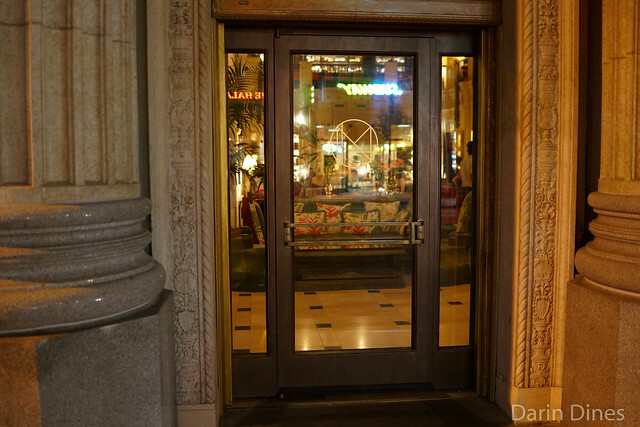 Pistachio Pot de Creme – There is a daily custard, which was pistachio on this night. The custard was nice and smooth, sweet with a good pistachio flavor. 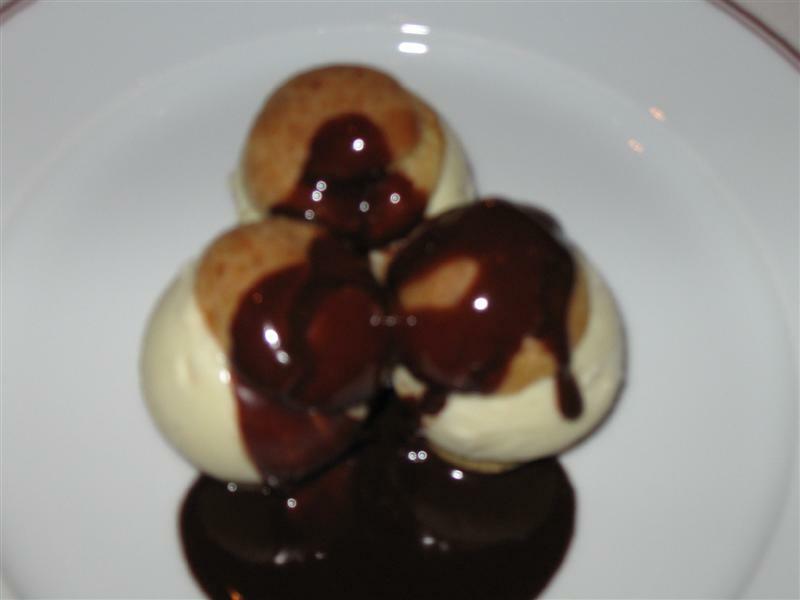 These are basically “cream puffs” stuffed with homemade vanilla ice cream and topped with a Valrhona chocolate sauce. Each of these parts are executed perfectly, and the resulting dish is just delicious. My favorite dessert here. 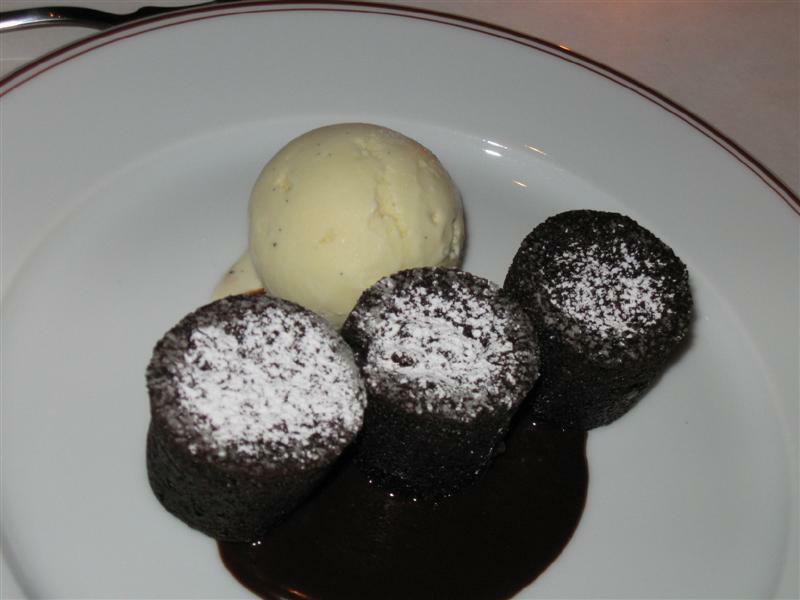 The bouchons are a signature dish (cork-sized brownies, essentially) with homemade vanilla ice cream and chocolate sauce (the same ice cream and sauce used in the profiteroles). For some reason, the bouchons seem to taste better alone, when purchased from the bakery. I’m not sure why, but even though this is a tasty dish in itself, it seems to be less than the sum of its parts. I recommend trying to get the bouchons alone to snack on later. 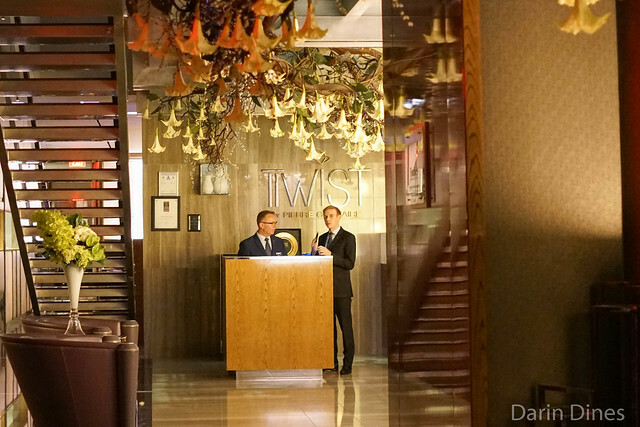 The service was professional and on-point – quick but not hurried. 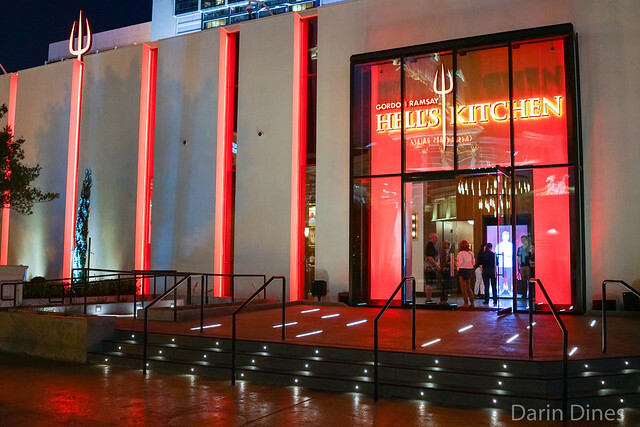 Impressive for a brand new restaurant – the service was without a glitch. The staff really seems to genuinely be happy to be there..and hey, who can blame them – the TK Restaurant Group is really a special group to be a part of. I was lucky enough to get a kitchen tour which was just incredible. Love it. 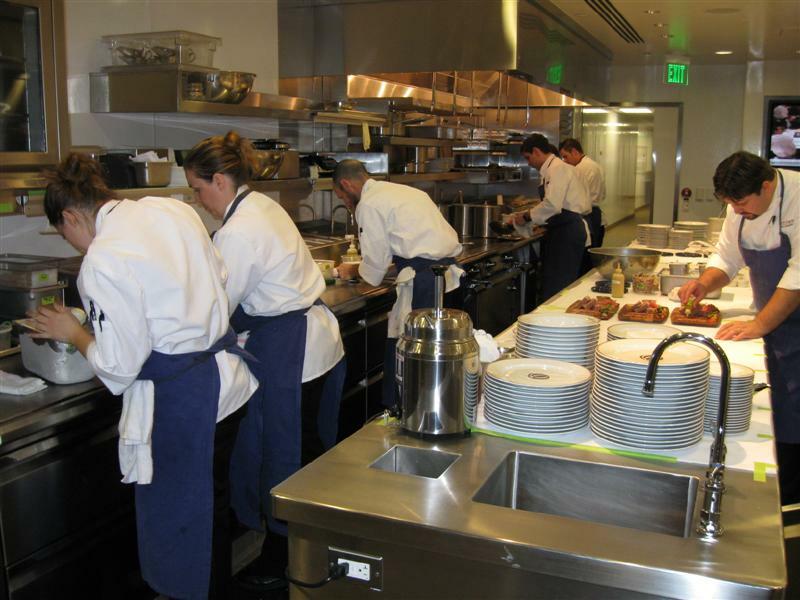 The staff was open to any questions one may have about the kitchen, and it was an experience witnessing the whole kitchen in motion. 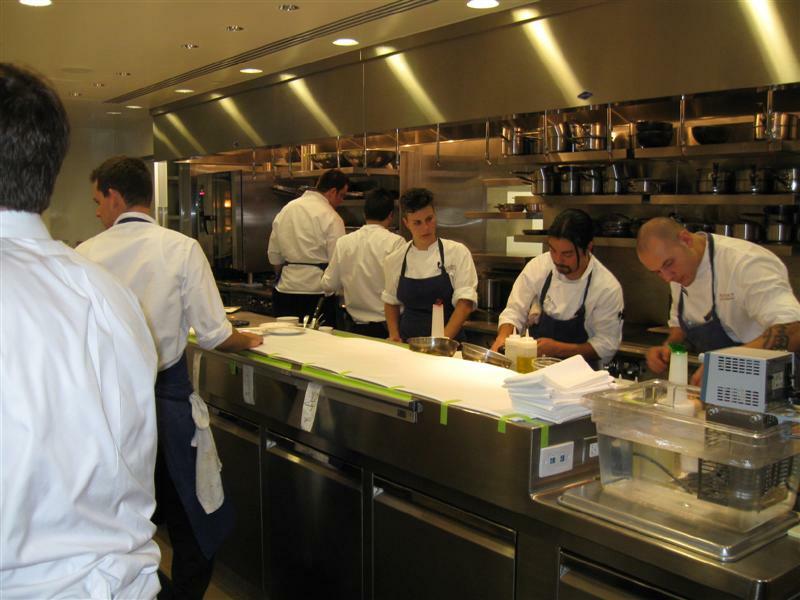 There’s a live camera feed to the Bouchon Yountville, similar to the Per Se – French Laundry setup. It was a really nice treat to a great meal. 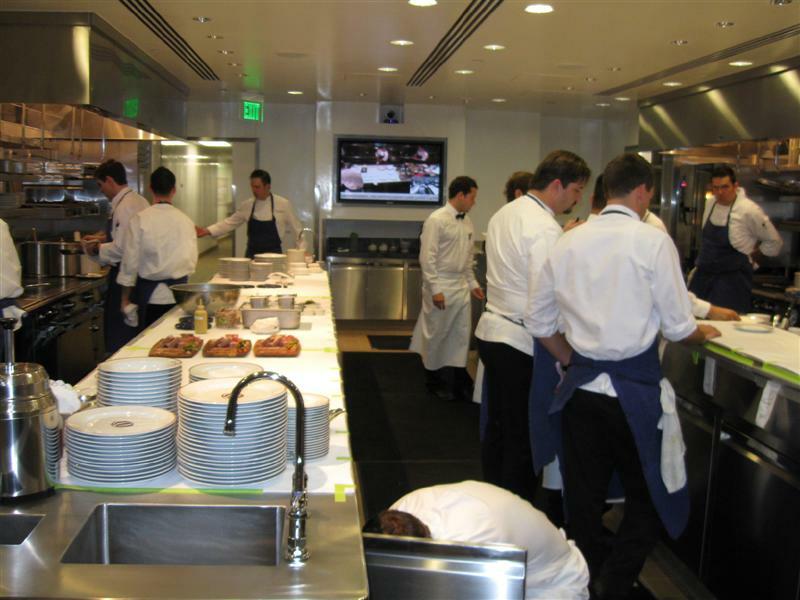 The kitchen looking straight ahead – notice the Bouchon live feed in the background, and Chef de Cuisine Rory Hermann on the right in the middle. The kitchen looking to the left. The kitchen looking to the right. Overall I had a great experience here. 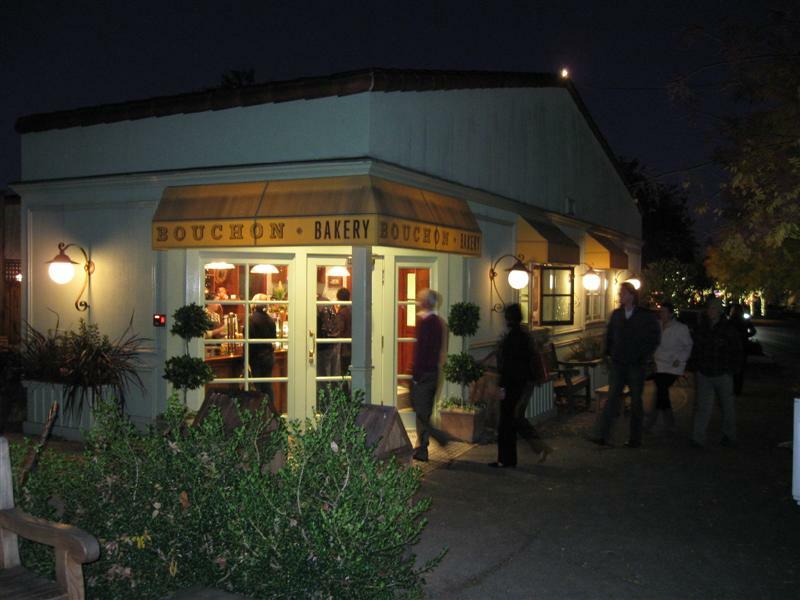 I would say Bouchon is probably my favorite casual-ish dining place in LA, and I will be back.